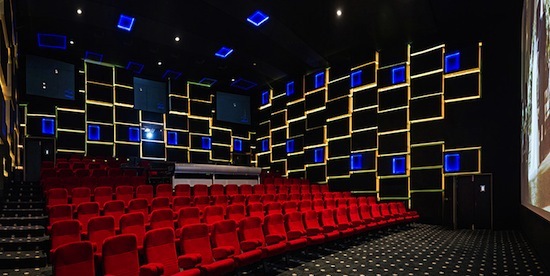 Jigsaw24 were asked by London post production facility Splice to supply and install a new cutting edge suit for their offline and audio requirements. In this free Avid Pro Tools S6 tutorial from our friends at RSPE Audio Solutions, Gary Lux shows how he sets up his Pro Tools S6 control surface, to suit his specific workflow. HHB Communications has provided Dolby’s UK headquarters in Royal Wootton Basset with an Avid Pro Tools | S6 modular control surface. Our friends at RSPE Audio have released this short Avid Pro Tools | S6 control surface tutorial with Gary Lux demonstrating how to use the Users Switches 1 & 2. Our friends at RSPE Audio have released this short Avid Pro Tools | S6 control surface tutorial with Gary Lux demonstrating a new feature that was added in software v2.2 - Locked Attention Track Knobs. The take up of the Pro Tools S6 modular control surface from Avid by leading sound companies, music studios and post production houses continues to increase throughout Europe. As part of their recent rebrand, Halo Post wanted to add a versatile new sound studio that would be equally at home handling TV and film projects. 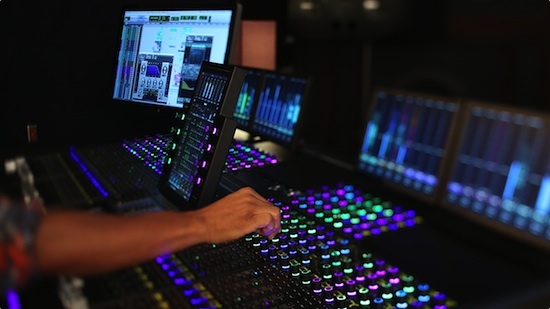 After demoing different systems at Jigsaw24's Golden Square facility, Halo and Jigsaw worked together to put together a Pro Tools S6-based system with DAD monitoring control and support for 7.1 film mixing. Friend of the blog and mix master Gary Lux (Sting, Janet Jackson, Usher and more) sat down with RSPE to talk about why he likes Avid S6. Smart Post Sound is reputed to be the most highly awarded post production sound company in the business. Its dedication to sonic perfection has earned the company no less than 15 Emmy Awards, 35 MPSE Golden Reel Awards and many more throughout its history. 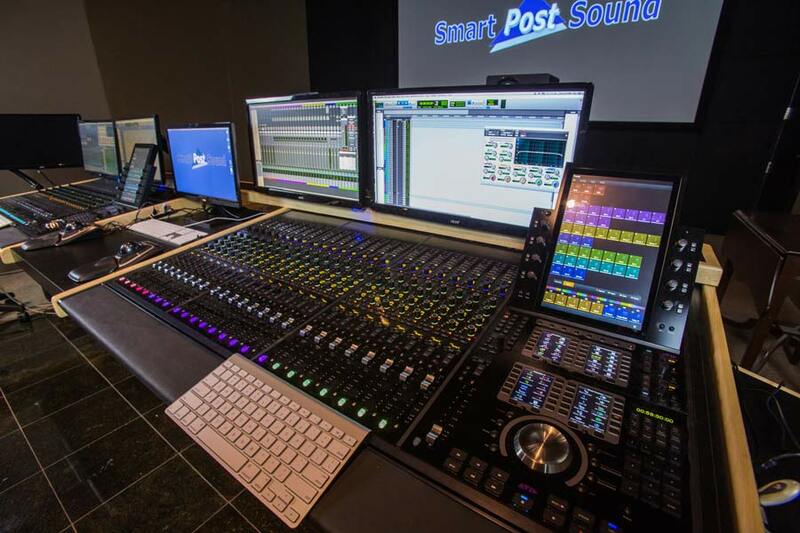 A recent expansion saw Smart Post Sound add two new sound stages and no less than four brand new Avid S6 control surfaces to its facilities. Watch as Gary Lux and Richard McKernan demonstrate VCA Auto-Spill, the most anticipated and talked about new feature on Avid S6 v1.3 software. Once VCA Auto-Spill is enabled, you simply have to focus (or attention) the VCA master and all of the slaves automatically spill out on the surface, making adjustments and edits quicker and easier. Check it out, and stay tuned for more video tutorials on using the Avid S6. To learn more about the Pro Tools | S6, visit our dedicated Avid Pro Tools | S6 blog. In a previous video from RSPE, Hollywood Mixer Gary Lux and Avid’s own Richard McKernan showed how to create, edit and delete custom Layouts on the Avid Pro Tools | S6. This time they demonstrate the new and improved layout recall on the Avid Pro Tools | S6. The new feature, recently added on Pro Tools | S6 software v1.3, allows you to access your saved layouts quickly and without having to change what’s visible on the master module’s touch screen. Check it out, and stay tuned for more video tutorials. Our friends at RSPE Audio enlisted the help of Hollywood Mixer Gary Lux and Avid’s own Richard McKernan for a new S6 video tutorial. The video shows how VCA spill on the Avid S6 allows you to easily control a large number of channels with a smaller control surface. Check it out, and stay tuned for more video tutorials. To learn more about the S6, visit our blog dedicated to Avid’s S6. Our friends at HHB Scrub have released another video in their series on how to get more out of the Avid S6 control surface. This video demonstrates how the Softkeys provide fast control over menu, editing and automation functions in Pro Tools and other EUCON-enabled DAWs. Its hosted by HHB’s Devin Workman, who shows how the Softkeys can put virtually any Eucon function on the surface of the console for deep hands on control of a session. The 60 user-assignable Softkeys can be tailored to fit the user’s unique workflow by putting the keys that are used most within easy reach. Complex editing functions, automation of channels, plug-ins and volumes, and various other parameters can be controlled with the just the Softkeys and jog wheel. Workman also demonstrates that, like the S6, the Softkeys are application aware and update to the function specific to each DAW when switching between programs. I have to say that having visited Galaxy Studios, the home of Auro Technologies, working in their gorgeous dubbing theatre I can see how the integration offered by Eucon 3 and the Avid S6 would be perfect for these kind of scenarios. 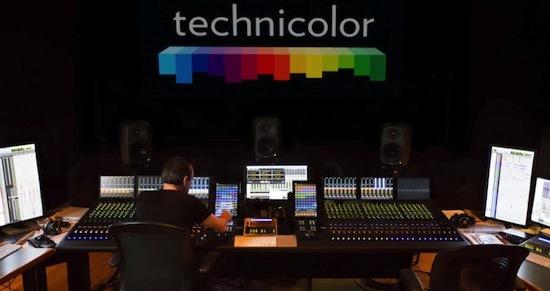 Tom Graham from Avid has recently interviewed Re-Recording Mixer Frank Morrone at Technicolor Toronto about how they are getting on with their new Avid S6 and in their interview Frank told Tom…. With LOST we had 7 computer monitors (for the 7 HD Systems) in front of us to get the visual feedback we needed. Now with the S6, I have the TFT (Meter) displays and all the information is streamlined right in front of me. I can get at it with a lot less clutter. And I really love the scrolling waveforms because when I’m doing my dialogue premixes I can see when a piece of dialogue is coming in on a track and if I need to raise my Fader because of the (relative) size of the incoming waveform. To be able to also see my metering, my compression and my EQ curves right next to the scrolling waveform are just great features and they really get you into a rhythm when you’re working. It’s a rhythm and efficiency that you could never get before. You can read the full interviiew on the Avid Blog site. Our friends at HHB have made this video introduction to the Avid S6 control surface. The first S6 video in the series can be viewed on the HHB’s YouTube Channel you can watch the Avid S6 video introduction here. HHB’s Devin Workman provides an in-depth tutorial with the 24-fader M40 S6 installed at HHB’s Soho demo facility Scrub. The first video introduces the component parts of the S6 and how they can be combined to provide deep integrated control of Pro Tools and other DAWs. There are more videos to follow going further in-depth on how the S6’s innovative Master Touch and Automation Modules provide unparalleled DAW control from the listening position, and the S6’s Soft key control of menu, editing and automation functions.